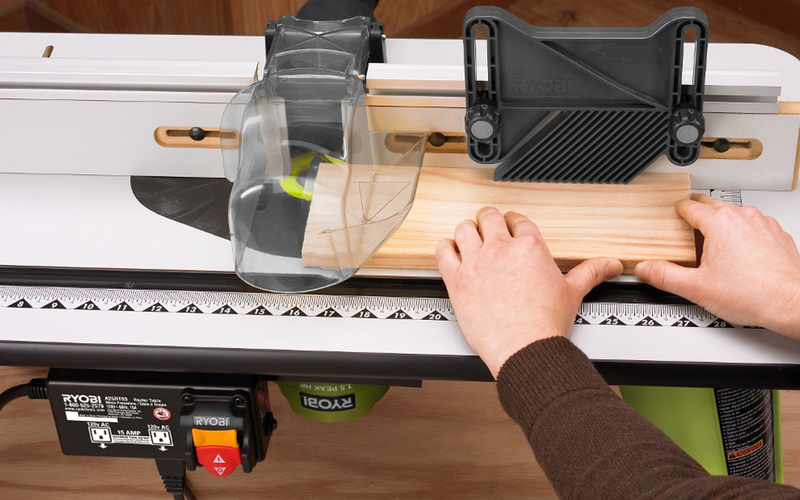 Hold onto both handles when operating a router, and always plan a cut so that you won't be standing in the way when the router leaves the wood. Make several shallow passes instead of a single deep pass, and wear eye protection, ear protection, and dust mask. Do not wear rings, other jewelry, or loose clothing when operating any power machinery. This guide highlights the mounting, operational aspects and safety considerations you should follow. Mounting a router upside down underneath a table turns the router into a small shaper, an invaluable tool if you're going to make molding for custom trim work. The router on a router table is upside down compared to a handheld router. Feed stock from right to left along the fence. If you're guiding a stock against a piloted bit rather than a fence, feed the stock so that it travels clockwise around the bit. Running a router along a board at breakneck speeds might get the job done a split second sooner, but the job won't be as good as it would have been if you took your time. Feed the router slowly so that you're just feeling light to moderate resistance as you work. This lets the router use its power and speed to give you the best possible results. Force-feeding stock past the bit means the bit touches the wood fewer times per pass, leaving a rougher surface. It also introduces vibration that leaves lines, called chatter marks, along the routed surface. Make shallow passes and resist the urge to make a cut in a single pass. Making deep cuts will do one of three things: Snap the bit off at the shank, overheat the bit and char the wood or give you an uneven cut. 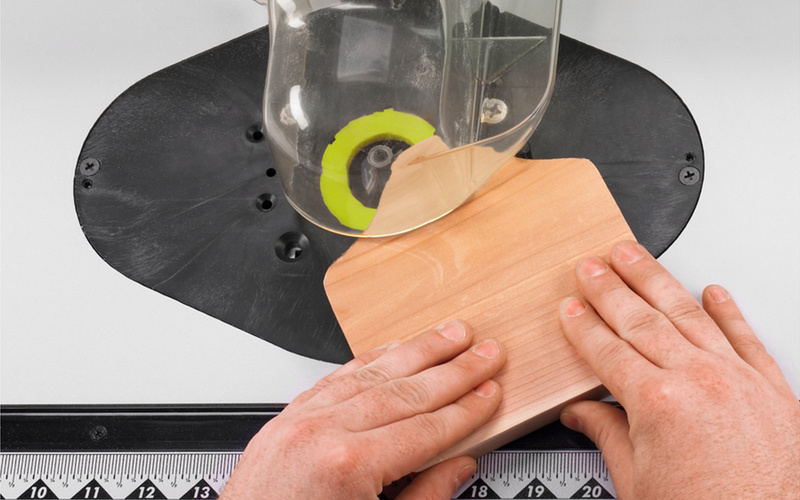 If you're cutting a groove, set up the cut, and then adjust the bit so it's cutting somewhere around ¼-inch deep. Make the cut, lower the bit, and repeat until you've cut a groove the desired depth. If you're routing the edge of a board with a bit that has a bearing like the one shown here, set the bit to the final depth of cut and leave it there. 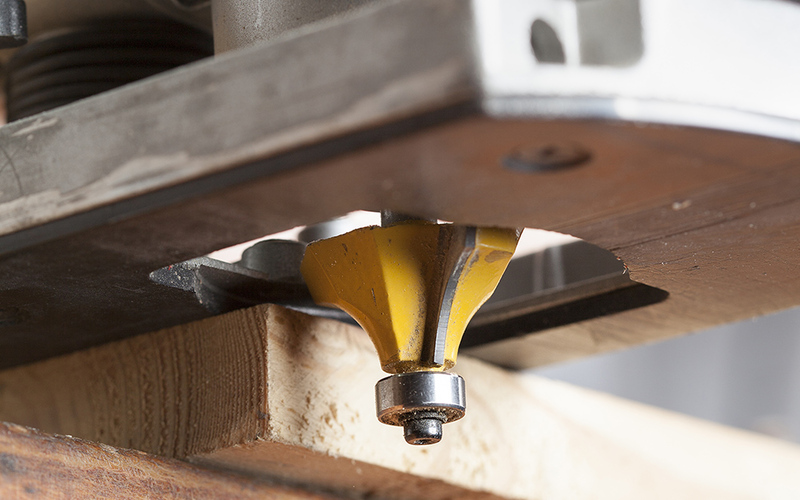 When you start routing, hold the router bearing from the edge so that the bit is only cutting about one-third or one-fourth of its final width. Rout the edge, then move the bearing in about half the distance to the edge and repeat. It's impossible to guide the router in a straight line on these first couple of passes, so the edge will be a bit wavy. The final pass, in which you guide the pilot along the edge of the board, will clean up any problems. Some routers require two wrenches to tighten or loosen the bit: one wrench holds the shaft steady and the other loosens the nut that holds the collet. Others have a shaft that locks in place and use only a single wrench. If you're loosening the bit, put the router on the bench with the bit pointing to the right. On a two-wrench collet, put a wrench on the nut closest to the router, which is the nut that turns the shaft. Rest the end of the wrench on the work bench or router. Put the other wrench on the other nut with the handle pointing toward you and push down toward the table to loosen the bit. To tighten the bit, turn the router so the bit points left and repeat. 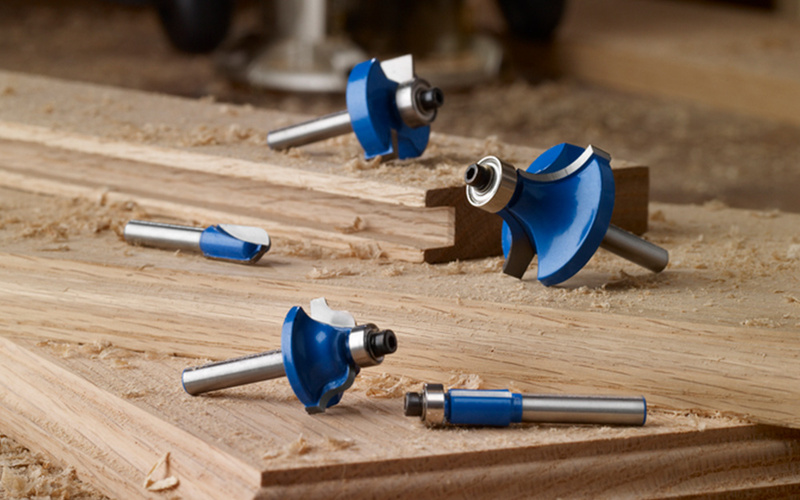 The process is the same on a single-wrench collet, except that you lock the collet in place following the manufacturer's directions instead of applying the first wrench. 1. If you start on the end of the board, then do the side, the next end, and the remaining side, the board will still splinter, but the damage gets routed away when you move around the stock. 2. To eliminate splintering entirely, clamp a scrap along the edge of the stock you're routing, giving it the support it needs to keep from splintering. An unpiloted or straight bit, one that has no bearing on the end to guide it, won't cut in a straight line unless you guide the router against a fence. In some cases you can just clamp a board to the work and guide the router along it. You can also buy a fence attachment that slips into the base and adjusts to position the router properly. The rotation of the bit can actually help pull the router tight against the fence. Feed the router from right to left if the fence is between you and the router. Feed in the opposite direction if the router is between you and the fence. Make as many passes as you need to get the final profile, always routing counterclockwise when using a handheld router. Once you've got a smooth profile, make a final pass routing clockwise. This smooths out minor blemishes and helps give you a mirror-smooth finish. The bit will still want to push the stock along at a fast pace, but you can control the speed because you're removing such a small amount of wood. 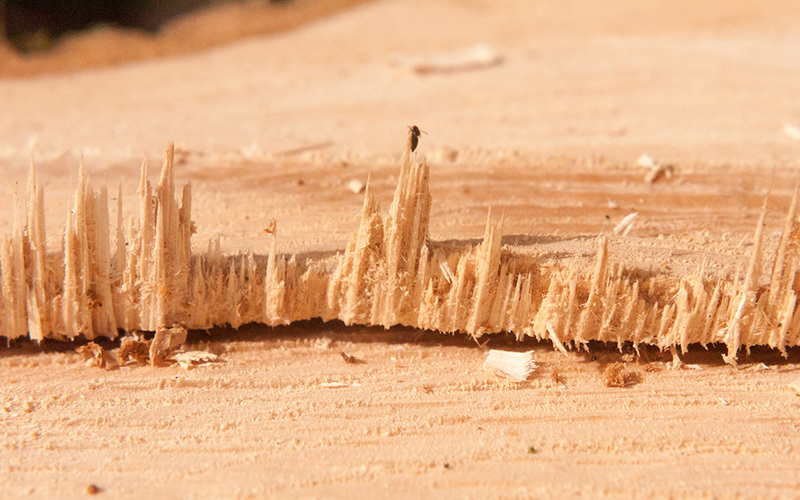 On difficult pieces of wood, those that splinter or chip, stop routing normally when you've got about 1/16 inch of wood to remove. Make the final pass working clockwise. Use sharp bits. To see if your bit is sharp, look at the edge in the light. If you see a white line instead of two surfaces coming to a point, get the bits sharpened. 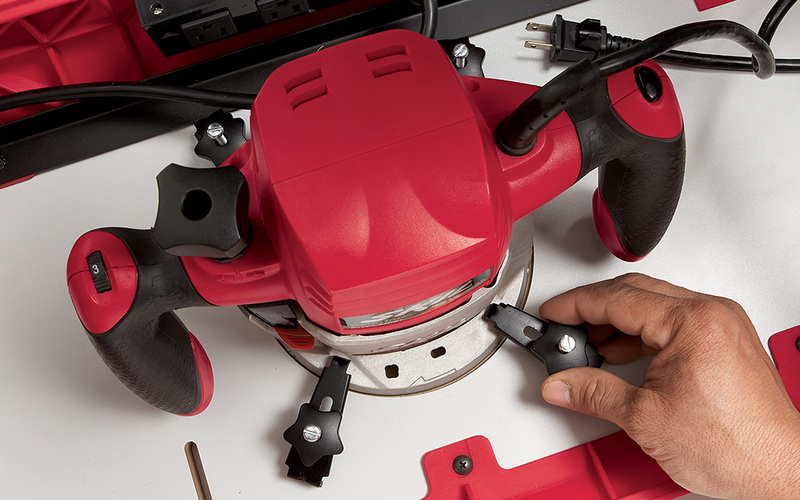 If you're working on a router table, make sure that both the router and the mounting plate are tightly fastened. If you're buying a router, buy one with lots of horsepower, preferably with a speed control. The greater the horsepower, the less noise a router makes.